Firewood sale – 10% off all firewood! Buy a cubic metre of partially seasoned local hardwood firewood now and it will be ready to burn by the time the cold weather returns. At the sale price a cubic metre (approximately 320kg) is just £94.50 including delivery – saving you £25.50 compared to a kilned cubic metre delivered to you in winter. Got nowhere to store it? 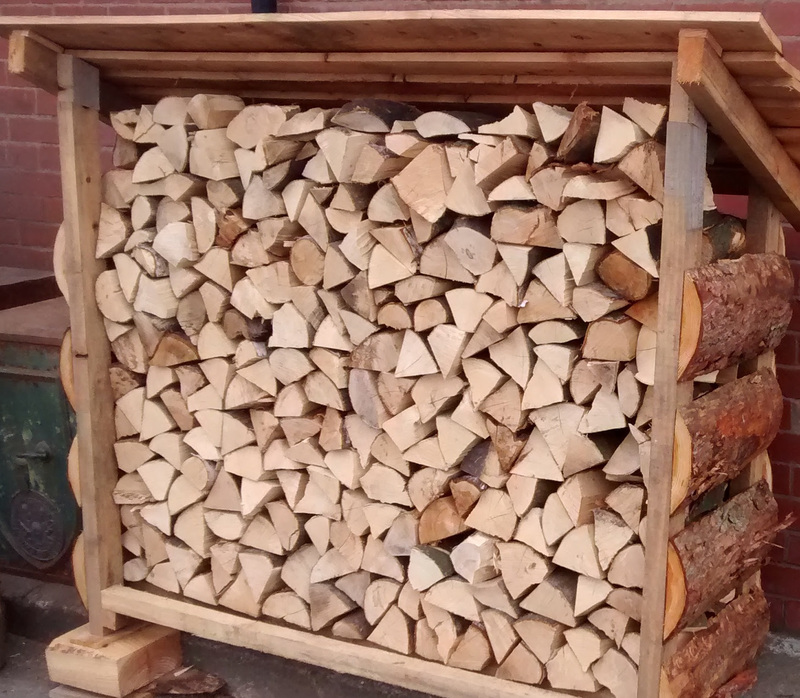 Why not order one of our log sheds – for £140 with free delivery (within M60) thrown in as part of this special offer. This is for a standard size and stores one cubic metre of logs, but we can make them to fit your required dimensions – please call 0161 2313333 to discuss. Made in our yard from locally sourced materials.